This idiosyncratic five-piece has become a legend throughout the land and after more than twenty years is still going strong, playing most recently at Auckland Folk Festival 2019 and Luminate 2019. 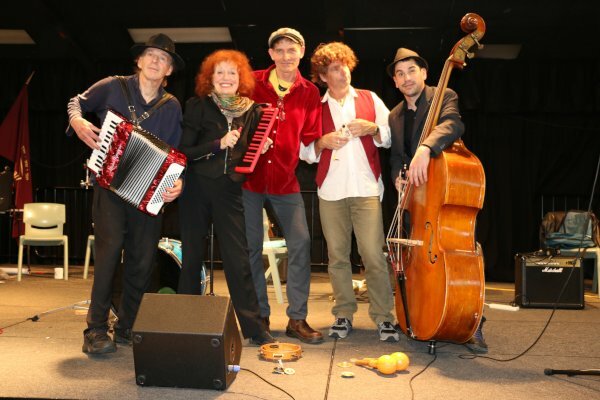 The secret of their enduring strength lies in the astounding musicianship of every band-member, their tightly wound mesh of instrumental and vocal harmonies, their exhilarating ‘beyond klezmer'” repertoire and their enormous drive and infectious rhythms. We’ve swapped Friday Folk and Club Night again, to make way for this exciting event. We couldn’t turn down an opportunity to hear these 2, even if it did mean more club-night juggling. Against the backdrop of his fine guitar playing, John Egenes pulls together musical styles from his background as a studio session player and road musician and plugs them into a mix all his own. 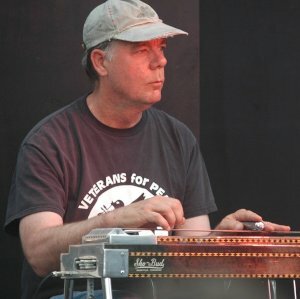 His music weaves a tapestry of Americana, rich in country & folk, bluegrass & contemporary songwriting, as this veteran road warrior takes us with him on trips through musical landscapes, telling stories that shine with the light of his humour, insights and quirky multi-instrumental figures. Egenes brings his set to the stage with songs of buckaroos and railyards, tales of lost love and life that take you from the American southwest to the land of the long white cloud. Armed with a guitar, a mandolin, or any instrument he can get his hands on, he explores the nooks and crannies that lie hidden within our lives. His dry humour and tasteful licks may find their way into yours, and you just might catch yourself singing one of his songs long after seeing him perform. 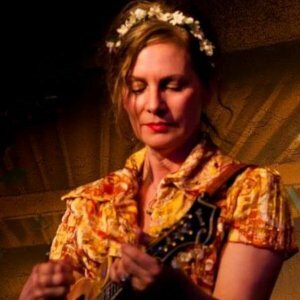 Donna Dean is a Tui award winning singer-songwriter. Her lyrics deal with the human condition making her live performances deeply moving, at time heartbreaking and ultimately inspirational. 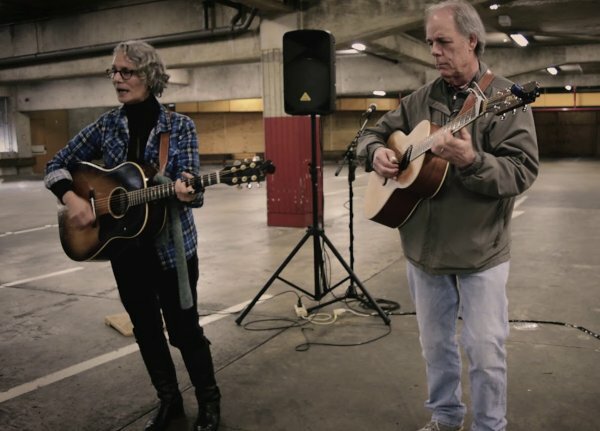 Her creativity has been likened to that of Joni Mitchell, Leonard Cohen and Bob Dylan. Her voice has been labelled ‘haunting’, ‘heavenly’ and ‘mesmerising’. An award winning feature length documentary film of her life was a huge hit at the NZ Docedge Film Festival in 2016 and has since been aired on Maori TV and the Winnipeg Aboriginal Film Festival Canada, to great acclaim. Doors open 7.30PM for an 8.00PM start. 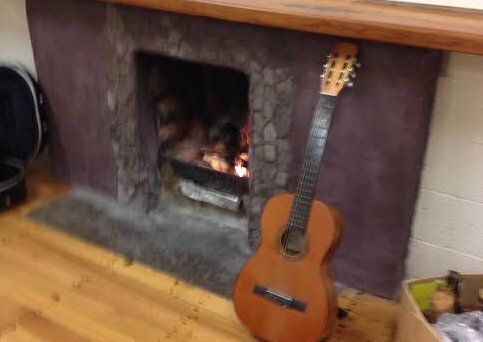 Guitar too close to the fire. As we’ve changed the night for Friday Folk this month, we might go the whole hog and change the format as well, and make tonight a JAM SESSION – to be advised nearer the time..
Do I need to play an instrument? We’re a totally informal, small friendly group of people who like to sing and play music. If you do not sing or play and would like to then here you’ll find encouragement. There is never any pressure and you may wish to visit a few times to get confidence or you may already be confident, it does not matter, no one will criticize, only support. Unless advertised otherwise all events are at the Paturoa Bay Residents and Ratepayers Hall at Titirangi Beach, which is down at the bottom of Titirangi Beach Road, adjacent to the Car Park. 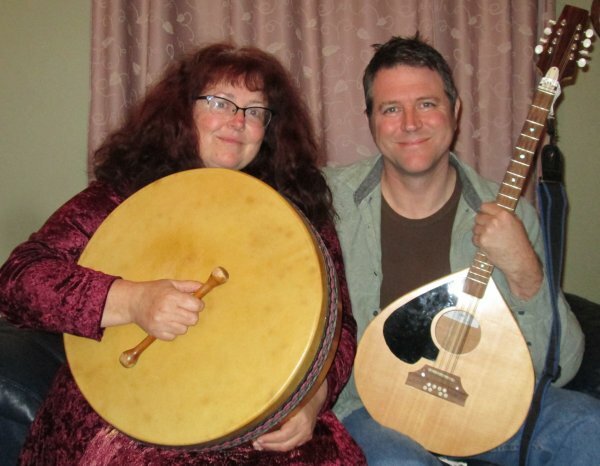 Clare and Nick are traditional singers and songwriters who have been singing for a long time, and once they got together, their skills and talents blended to create beautiful songs and stories. With their debut album “One Shilling” under their belts, they are delighted to be back at Titirangi Folk Music Club with a bunch of old and new songs to delight and entertain. 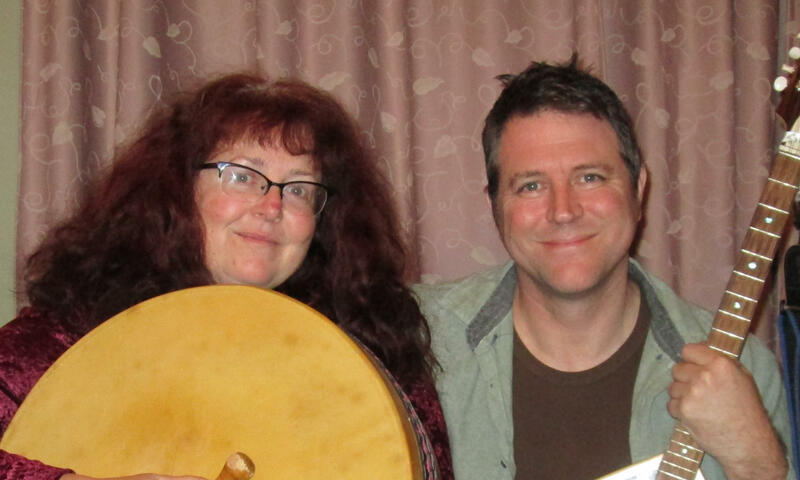 Regulars in the folk scene are likely to be aware of Clare’s magnificent voice, allied with Nick’s well crafted songs which span subjects from all over the world and all throughout history. Come along and expect a mix of humour, tragedy and social commentary, sometimes all in the same song. A reminder that we have no Club Night or Friday Folk in April 2019. Next event Clare Senior & Nick Johnston on Saturday 11th May. Followed by Friday Folk on Friday 24th May. And another ‘Friday’ Folk on Saturday 8th June! – Psst, this one might become a Jam Session – Watch this space. Then on Friday 28th June we’ve got John Egenes & Donna Dean. And on Saturday 13th July a Concert at Lopdell House with The Jews Brothers Band, supported by Bluegrass and Beyond. to receive our (usually) monthly newsletter.